The new remake of the first pack is now there. 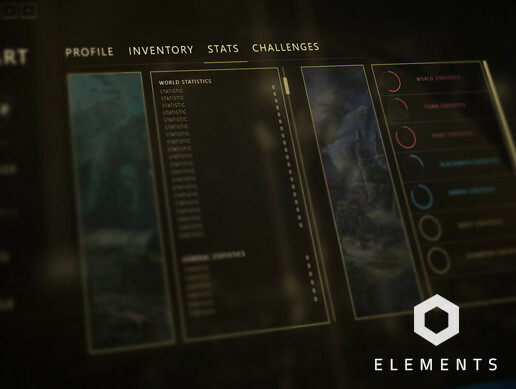 Do you want a full Game UI Kit for an MMO or RPG or other kinds of Games? Do you want to customize the entire Asset by yourself? Then you should buy the MMO&RPG UI Kit 2. Simple, Clean, Minimalistic and easy to use. We made 7 Pre-made Screens and Scenes ready to go for you. If you want to edit the entire Asset pipeline by yourself, an Adobe XD file is ready for you. You can edit and customize every pice if you want to. · 10 pre-made Screens - ready to use. · Made with Unity UI. · Customizable Adobe XD file. · Ready to use Prefabs. Please note, more Screens are in the Adobe XD file, ready to export.